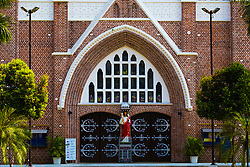 Saint Mary's Cathedral is a Catholic cathedral located on Bo Aung Kyaw Street in Botahtaung Township, Yangon, Burma. 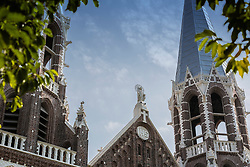 The cathedral's exterior, of red brick, consists of spires and a bell tower. 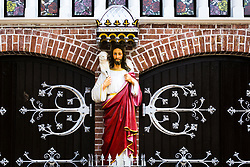 It was designed by Dutch architect Joseph Cuypers, son of Pierre Cuypers. 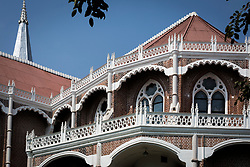 Construction began in 1895 and was completed 19 November 1899 under a land grant from the Government of India, when Lower Burma was a province of British India. 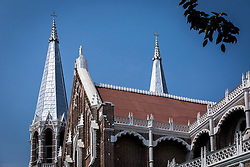 During the 1930 Rangoon earthquake, St. Mary's Cathedral suffered little damage and it withstood the Japanese invasion during World War II. 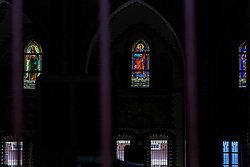 However, the cathedral's stained glass windows were damaged during the Allied invasion of Rangoon. 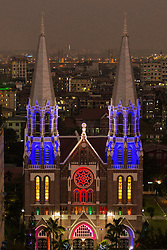 The cathedral is the largest in Burma.